For memories of the most important moments in life! There are moments in life that are worth remembering in a special way. With the XXL CEWE PHOTO BOOK you can finally do those photos justice. The generous 42×30cm size shows your pictures in high-definition, and the customisable picture covers (choose from hardcover, elegant leather or premium linen) underline the stunning effect of your most treasured photographs. Our masterpiece book will show off your most precious moments in the right framework. 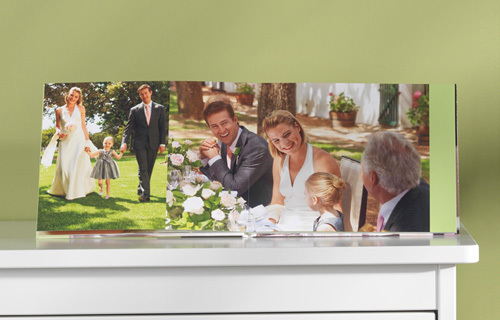 Choose between a portrait and an extra wide landscape version - perfect for your panoramic picture. Are you looking for a high quality cover? 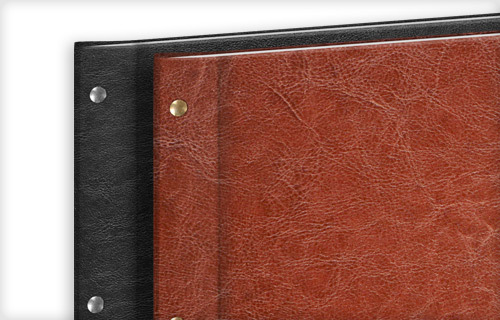 Then you will love our leather cover for XXL CEWE PHOTOBOOKS. Whether in black or brown - the padded hardcover made ​​of genuine leather makes your CEWE PHOTOBOOK a particularly elegant single piece. For our XXL CEWE PHOTOBOOKS, the premium linen cover is combined with a unique screw fastening on the spine of your book. 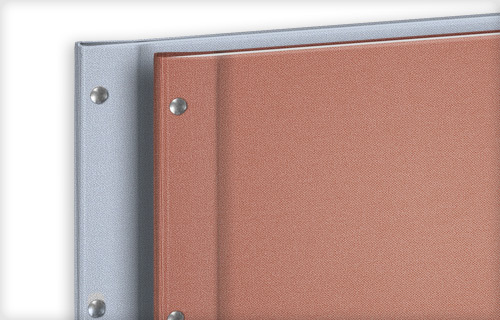 Choose from silver or copper coloured linens to help make your CEWE PHOTOBOOK even more unique. 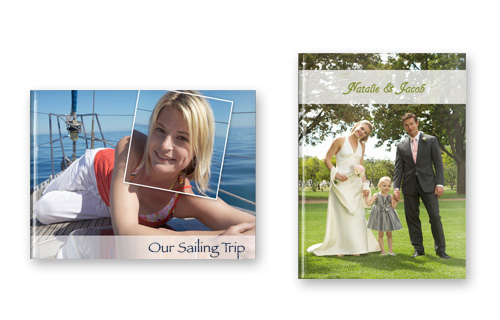 With our hardcover it's easy to show off your favourite photos easily! Once the cover paper has been printed, it is then laminated and applied to a quality envelope cardboard cover. Then the book block and cover are joined using extra care, to ensure your CEWE PHOTOBOOK is shown off beautifully. Only the best paper for the best photos! For us quality has a high status: all digital printing variants of CEWE PHOTOBOOK use particularly fine photo papers. The base has a grammage of 200 g / m², with photo stitching of 150 g / m². For the XXL CEWE PHOTOBOOK in exclusive leather or premium linen cover, we use a premium paper which has a thickness of 250g / m². For our CEWE PHOTOBOOKS with glossy paper, we use digital printing paper of the highest quality and a thickness of 200g / m². During the manufacturing process, the insides are provided with a rich high gloss coating. 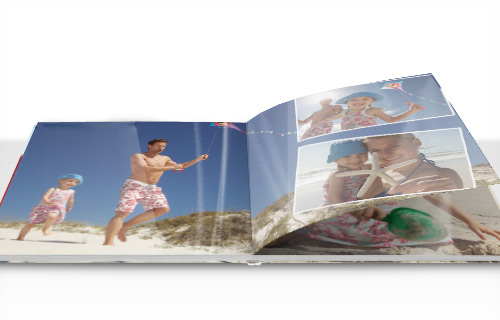 It gives the colors of your personal CEWE PHOTOBOOK a special radiance and protects the paper against dirt and moisture. 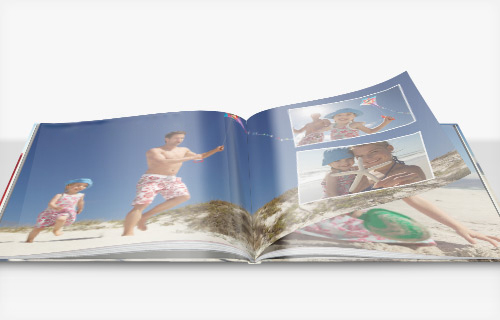 Order a CEWE PHOTOBOOK on premium photographic paper to give your photos a really chance to show off! Following this process, two sides are glued together, so that a lay-flat binding is created. 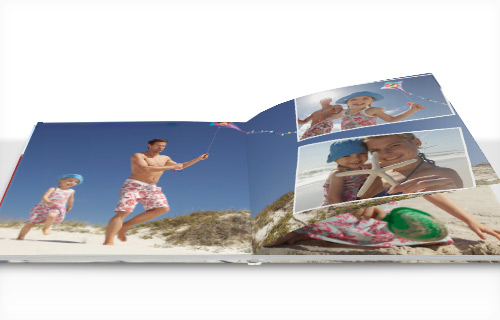 The result: your CEWE PHOTOBOOK does not have the typical bow in the middle and is opens completely flat, making it the ideal foundation to give your photos a particularly impressive effect. Colors love our premium photographic paper: the printing process give them a particularly good effect and remarkable depth of field. Four of our CEWE PHOTOBOOK formats (XXL Landscape, XL, Large Portrait and Large Landscape) can be created with a particularly exquisite glossy photo paper. The production process is similar to the premium photographic version. 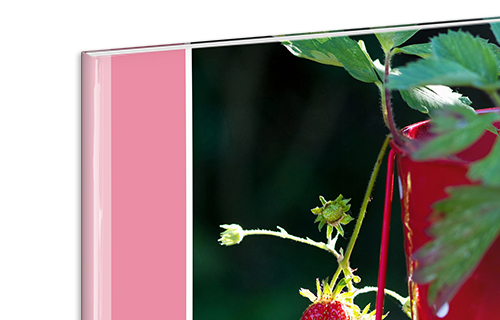 The finish is similar to our glossy paper, but you get the beautiful depth of field and colour intensity available with our premium photographic book - the best of both worlds! ¹ When ordering from one or more product groups, only the highest delivery cost will be charged. ² The quantity surcharge is calculated with each additional item.